The Federal Government’s recent announcement of The Early Years Quality Fund (EYQF), a two-year, $300 million-funded program to lift the wages of early childhood educators, marked a significant turning point in the national discussion about those who work with young children. I have been fighting with my colleagues in the Big Steps campaign to raise the wages of early childhood educators for years. It was affirming to finally hear government ministers state unequivocally that we are underpaid, unsupported and disrespected. I have written and spoken publicly about the need for the community to recognise and support our work. Despite all this, I believe that this funding package has the potential to disastrously undermine the Early Childhood Education ECEC sector and the campaign for professional wages. The EYQF is a single pot of money, and will only last for two years from July 2013. To get a share, services and organisations must have an approved Enterprise Bargaining Agreement that factors in the wage increases, and will also need to evidence that they are actively working towards meeting the Federal Government’s new National Quality Standards for ECEC. The wages increases range in scale from about $3 per hour for a Certificate III-qualified educator, to over $6 for an early childhood teacher. The major catch is that only about 40 per cent of ECEC centres will be eligible for this funding. They will have to apply to the EYQF, meet the evidence criteria, and once the funding has run out – that’s it. So the Government’s solution to the identified problem of gender-based wage inequity is an undignified race to see who can apply for the limited funds — putting ECEC organisations in the position of squabbling over the donation jar. The Government concedes that the EYQF will be a short-term measure. 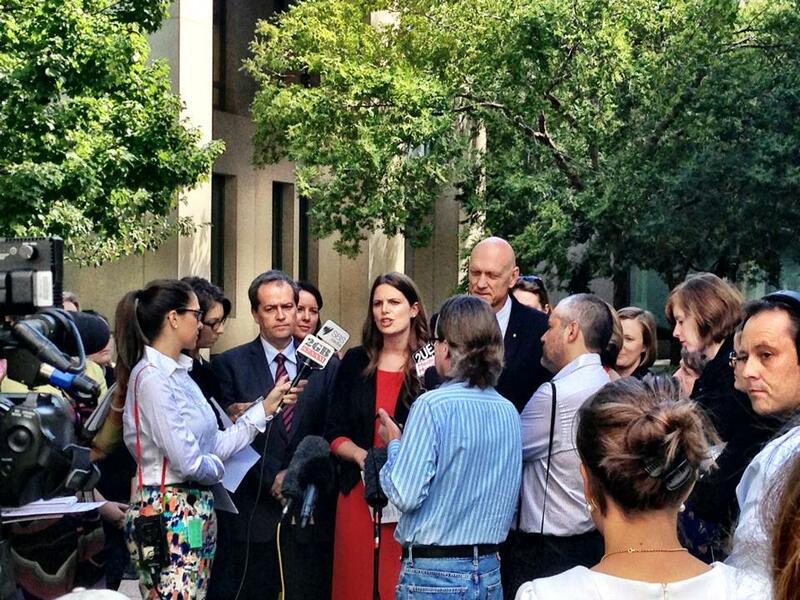 The real focus will be to supporting a wage equity case at Fair Work Australia. This is a worthy aim, but in the meantime the symptoms of this temporary scheme won’t help a struggling sector. Competition over a small pool of funds is likely to deepen the divide between not-for-profit and private providers, who are already fighting over an ever-dwindling number of qualified educators. Staff will simply shift employers to those who have been fortunate enough to access funding, leaving huge staff shortages in other parts of the sector — directly disadvantaging children. As I have written before, the ECEC sector is already split between community-based not-for-profit operations, and private operators. The Government’s generous childcare subsidies have allowed private operators to grow and thrive. It’s also given them plenty to spend on advocacy against improvements to quality and educator-child ratios. In effect, they’re is paying the private operators to work against them, allowing them to employ lobbyists and use conservative media connections to undermine attempts to reform the sector and provide greater outcomes for children. It is understandable that the Government does not want additional funding going to those centres. However, the current structure of the sector as a free-market free-for-all is the direct responsibility of the government, who refused to heed the lessons of the 2008 ABC Learning collapse and repudiate the for-profit model of early childhood education and care. United Voice, the union for early childhood educators (who negotiated this deal), are understandably keen to ensure that their members benefit as opposed to private operators who are uniformly anti-union. 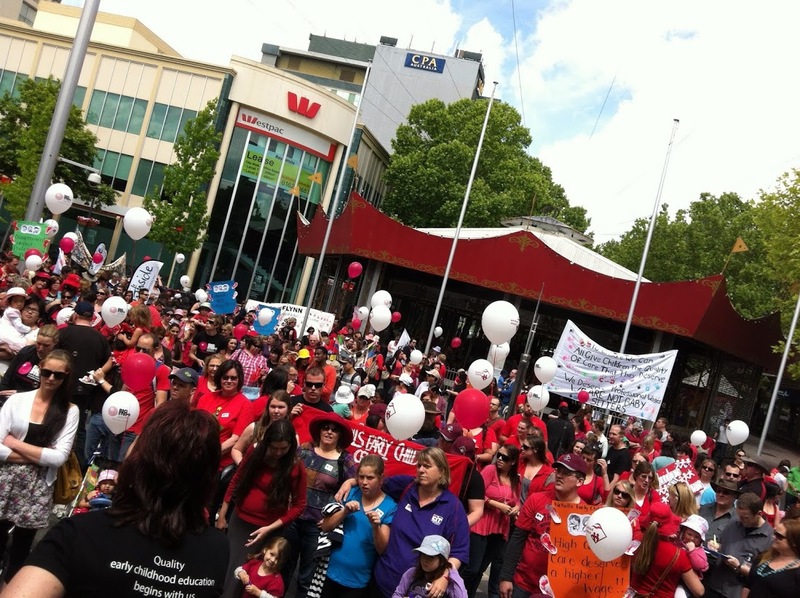 I also firmly believe that early childhood educators should join their union and actively work towards the Big Steps campaign, as the power of collective action to address injustice has been demonstrated time and time again in other low-paid and low-valued work (such as nursing and aged care). But celebrating a deal that segregates the sector reflects the failure of those involved to understand that this fight is not about individuals, but the role of an early childhood educator. This is bigger than any one campaign, or any one announcement. As with Fair Work’s decision that the Social and Community Awards wage rate must rise, this is about valuing the work of those who work with young children and removing continuing wage discrimination on the basis of gender. The government has publicly acknowledged (finally) that the early childhood educator role is undervalued. The professional standing and respect of the entire sector, not a select few. We either value educators enough to treat all of them with the same respect and recognition, or we pick and choose — devaluing us all. This article was originally published by New Matilda on April 22, 2013.